The Cleveland medical technician was one of the best in the lab. Her supervisors took notice, and, of course, they promoted her. She got her own office, a fatter paycheck, more responsibility and prestige. And she was miserable. Overwhelmed and confused, she turned to Akron, Ohio, business coach Kathryn Musholt. Together, they discovered that the work the technician really loved was back in the lab working with others to solve problems, not squirreled away in a private office. She returned to the lab, a happier, more productive employee and another convert to the concept of coaching. In the last decade, workplace coaching has gained increasing popularity. So much so that experts predict some form soon will be used in every corporate office and in most small businesses across the country. Eager to retain top talent, companies are turning to coaching to increase productivity and morale. 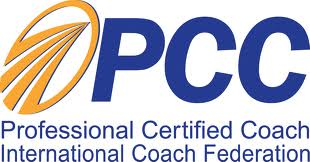 Go to the Web site for the International Coaching Federation and you’ll find programs that offer coaching certification in more than 100 specialties, from corporate to life-balance to spiritual. A coach looks at the whole person — interests, abilities and personality — to decide where he or she fits best in the workplace, said Musholt, owner of KSM Careers & Consulting. “Coaching is supporting you to get where you were headed anyway,” she said. “My philosophy is everyone wants to do better for the organization. Otherwise, they wouldn’t be there.” The concept is not unlike what goes on in sports. Is player A a shortstop or a right fielder? Is player B a star center or defensive stalwart? Player C has talent, but how can we make the most of it? It’s a theory that works in the businesses of today partially because employees are far different than they were 15 years ago, said Joyce Gioia, a North Carolina-based workplace trends specialist. “The employees coming into our workplace today will not stand for the old order of management,” she said. “Employees today don’t want to be directed,” she said. “They want to be encouraged to develop themselves. They say, ‘Don’t tell me what to do. Tell me what you want done, and I’ll figure out the best way to do it. '” Workplace experts call it “the new employment contract.” Most coaching is one-on-one work between an employee and a supervisor or outside consultant. A coach asks hard questions and challenges the employee regularly to refocus his or her perspective and improve performance. The relationship is different from a mentorship, which typically involves more personal investment and a longer time period, Musholt said. In one form or another, business coaching has been around since the late 1980s, when it first became popular with executives looking for outside help in climbing the corporate ladder. Some needed time-management skills. Others needed help learning how to manage people. Now business coaches are guiding entrepreneurs, and corporate coaches are training managers to coach employees from the production lines to the highest levels of management. Some companies, like IBM and Ernst & Young, developed entire internal divisions devoted to corporate coaching. Peter Cairo, co-author of the self-help book “Action Coaching,” said the movement is a reaction to the downsizing frenzy of the 1980s. “Many companies today have gone through that restructuring,” he said. “They are already very lean. So if you’re looking for growth strategies to increase performance and profits, it’s risky to get any leaner without doing some damage.” Instead, businesses are investing more time and energy in staff development. The National Association of Business Coaches has seen the number of business coaches grow from about 25,000 three years ago to almost 50,000 today, executive director J. Stephen Lanning said. Companies that delve into coaching find themselves dealing with what often is called the “soft side” of business. That area includes other intangibles such as purpose, value and relationship that deal directly with an employees’ humanity, workplace experts say. These elements create meaningful workplaces, something more employees are demanding, they say. But human elements are some of the hardest company issues to deal with, said the Rev. Norman Douglas, executive director of Heart to Heart Communications. The nonprofit group began 10 years ago consulting with Akron-area businesses in the area of internal relations. Back then, companies weren’t ready to talk about individual development, Douglas said. Everyone thought restructuring would solve productivity problems. Now, organizations such as Heart to Heart have busy schedules. “We (employees) are searching for the connection between what we do and who we are,” said Jim Burns, Heart to Heart’s director of operations. Finding that connection can be costly since many business consultants charge between $100 and $200 an hour. Corporate programs cost between $1,000 and $10,000 a month. “The return on investment in developing people is you retain people, you have happier people in the workplace, and you increase productivity,” said Sherry Greenleaf, a corporate coach with Impact Training and Development Inc. in Westlake, Ohio. Coaching is most common in top-tier corporations, but small and medium-size businesses are using the strategy as well. “With the competitive job market, it’s just not as easy as firing someone and getting someone else to replace them,” said Melissa James, human-resource manager with Nuco Plastics Inc. of Eastlake, Ohio. As permanent employees grew from 42 to 62 in one year, and the plastic mold injection manufacturer expanded from one plant to two, corporate philosophy supported promoting from the inside. The problem was that many skillful employees who earned managerial roles had no experience dealing with people. “We found ourselves constantly putting out fires,” James said. She persuaded management to hire a corporate coach. Now all employees who oversee others — even shift supervisors — are spending four hours every Saturday for six weeks learning to be coaches. “It’s certainly much more cost-effective to take the employees who’ve grown from within and mold them and shape them rather than hiring in all new supervisors from the outside,” James said. One of the biggest differences between athletes and business people is that athletes often are proud of their coaches. A big name, like the Boston Celtics’ Rick Pitino, can bring prestige. Many executives, on the other hand, are embarrassed to even say they need help. “They’re supposed to be these strong leaders,” Musholt said. “Asking for a little guidance appears weak.” Another reason businesses are shy about their coaches is that often the coach is called as a last resort in personnel conflicts, she said. Heart to Heart’s client list includes some of Akron’s biggest companies. One of those is Knight Ridder Newspapers. This spring, the newspaper began training sessions to help managers better coach their employees. “The environment right now in the industry is so competitive,” Akron Beach Journal Editor Janet Leach said. “There is so much pressure. … This is one more tool in my toolbox.” Other Heart to Heart clients did not want to break confidentiality and be quoted for this story, Burns said. The stigma of coaching may endure, but it is based on outdated thinking, Burns said. “Nobody ever played like Tiger Woods, yet Tiger Woods needs a coach,” he said. “Why would the multimillionaire of the 21st century need a coach when everyone agrees nobody can touch his game? “He knows he needs somebody to watch his game, somebody to bounce ideas off of.” COACHING TIPS If you are considering using coaching in your workplace, here are some tips on how to implement it from Sherry Greenleaf, registered corporate coach with Impact Training and Development Inc. in Westlake, Ohio: Meet with your people. Senior managers may drive the push for more coaching in the workplace, but initiatives won’t go far without the support and input of all. Get an outside perspective. Find a consultant or another manager who can help you see the big picture. Change. Nothing damages employee trust more than talk without action. Follow through. Employees are sick of “management by best-seller” fad programs that disappear in days. ——————————————————————————– Tips for current coaches: Clarify the issue. One of the coach’s jobs is to keep the employee on track toward the goals. Invite the employee’s perspective. Listen carefully. Set a clear timetable for accountability. With an action plan, it’s easier to evaluate setbacks and successes. ——————————————————————————– Sources for more information on coaching in the workplace: National Association of Business Coaches (1-800-290-3196) The International Coach Federation ( http://www.coach-federation/.org ). Coach U (www.coachu.com). A company that offers classroom-without-walls teaching that certifies coaches. Jack Welch, the former General Electric CEO, believes that great management revolves around developing great people. As far as he’s concerned, that’s a manager’s No. 1 job. I rarely meet a sales manager who doesn’t agree. If pushed, they tell me that developing people is their top priority, too. In reality, though, developing people falls low on almost all sales managers’ priority lists. Developing good people is all about coaching, a series of planned interventions intended to help others be more productive. It’s reacting to the difference between the behaviors you expect and the behaviors you observe. Once you define these differences, coaching can be easy and productive. That’s the good news. The bad news is that not many managers are good coaches. And unfortunately, coaching is a lost art in the home building industry. Two men traveled the world seeking the most extreme challenges and adventures. After many years of shared challenges, they decided to climb what was considered the most dangerous mountain in the world. Up until that day, no men had ever completed the gigantic climb. Most men would not even dare to try. They arrived at the mountain’s base in good spirits and with a clear objective in their minds: reach the summit. However, the task was not going to be as simple as many other challenges they had previously faced: it was a unique setting, which would test their nature, courage and put on the line everything they had achieved so far (even possibly their lives). The climb began. A quarter through the journey, the cold wind and snowy conditions made them think twice about what they were doing. They looked at each other, but did not speak a word and with the slightest nod, mutually agreed to keep going. As they progressed, the conditions got worse and one suggested, for the first time in their joint adventures, that perhaps they should retreat to avoid further danger. His request was denied and they kept going. Half-way between the base and the summit of the mountain, the same man suggested another retreat, with the argument that the mountain was simply too long and too dangerous to be conquered by the two of them. His request was again denied. Three-quarters of the way, both adventurers were overwhelmed by the dreadful climbing conditions and as a matter of survival, had to retreat to base camp. When they arrived at the camp, the adamant climber said: “We’ll go again tomorrow”. Dazzled, the other climber asked him why, considering they had failed as he had suggested, and that the mountain proved too big and too challenging a task. He replied: “We’ll see about that”. The next day, they tried again and once more, had to retreat in order to survive. Each next day was followed by another attempt: one man driven by an unblemished determination to reach the summit; another with a clear resolve not to abandon his friend. As life coaching is gaining popularity, so is interest in becoming a life coach. Many people love the idea of working for themselves and being in a profession that helps others. If you are thinking about becoming a life coach, there are several factors you need to consider. First, decide what type of life coach you want to become. The word “life” covers a lot of territory so life coaches tend to specialize in specific areas. These areas include career and finance, goal setting, relationships, weight loss/fitness and drugs and alcohol, just to name a few. What is your passion and how do you want to inspire others to create success in their lives? When thinking about what type of life coach you want to be, examine your career, education and life experience to find your current strengths. Once you have an idea of what area you want to focus on, consider what a life coach does. This is tricky because there is no one definition or universal standard so several interpretations exist. You need to develop a format in which you will teach successful actions to your clients. A qualified life coach can break down goals into manageable, easier to confront steps while showing the client effective techniques for completing them. Just knowing what and how is not enough because clients often get in their own way. The life coach will evaluate their progress and motivate them to implement a plan with consistent action to actually achieve desired results. Before you begin on this path, know that there is a difference between understanding what to do and being able to get someone to do it. There are three essential elements involved in becoming a life coach and they are training, skills and education. When it comes to training, there are many life coaching academies that offer courses and some even offer accreditation. Many of these courses have actual and practical value. Please note that there is no federal or state agency that has an accreditation for life coaching and schools offering degrees are self-accredited. If you are considering taking any of these courses first look into the costs involved. Often an inexpensive introductory course is offered only to get you started. Since costs can add up quickly, check into the length of time, the number of additional courses required and make sure to get referrals from other students. Another important point to check for first is whether or not the school provides adequate tools for practical application when working with clients. This will be very helpful for beginners in developing step-by-step methods for life coaching. There are a few key skills that are absolutely essential. For starters, you need to be a good listener, a creative problem solver and have considerable knowledge of human behavior. You need to be able to set goals and develop plans of action to actualize them. Life coaching requires that you are organized and can keep meticulous attention to detail to monitor weekly results. Patience and the ability to deal with frustration are critical. Clients don’t always do what they agree to do and getting people to suddenly give up destructive behavior patterns can be a real challenge. You need to know how to motivate and be creative in overcoming obstacles and objections. You have to really like and care about people. You must also be able to accept failure as not all clients will change. There are a few more skills involved but these are fundamental. A life coach should love education in order to stay informed of current advances and trends. The areas that require consistent study are psychology, goal setting, motivation, cognitive psychology, cognitive science, human behavior, habits of successful people, sleep patterns, relationships, business principles, principles of success, career development, drugs, alcohol, leadership, sales and more. A life coach is a relentless student of these subjects. Life coaching is a proactive approach to resolving obstacles in an individual’s life and it requires a clear picture of not only why and how, but also of step-by-step implementation and the ability to resolve blocks and setbacks as they come up. You’ll need to combine these factors into a working platform to assist your clients in reaching their goals. Finally, when you are ready to start life coaching, how are you going to get clients? The idea of working for yourself and helping people may sound great, and it is but it comes with its difficulties. You are not going to simply get business cards made then start filling your appointment book. Schools offering great careers as life-coaches will only be able to give you limited assistance in getting clients. After you spend your time and money either with a life coaching school or developing your own style of life coaching it will be up to you to get clients. You are one hundred percent responsible for your income and success. You should enjoy networking and self-promoting. You can build a clientele through friends, networking groups, placing ads, professional relationships, and whatever other creative ways you can think of. As you get clients and earn a reputation, your business will grow through referrals. All this takes time, so be prepared. As you are developing your business, you will have to overcome the obstacle of people questioning what a life coach does. Be prepared by asking yourself why someone would pay you to advise him or her and have a good answer. The answer you develop to that question will be the foundation for your success. A fter considering all of these factors, if you decide to become a life coach you will be entering a dynamic field. Being able to actually help people create the life changes they want is a highly rewarding and exciting career. You’ll be helping others gain success while creating your own!